51 Cranberry Street, Brooklyn, NY, New York 11201. This important American home provides a clear view into the past, and home for the best days yet to come. 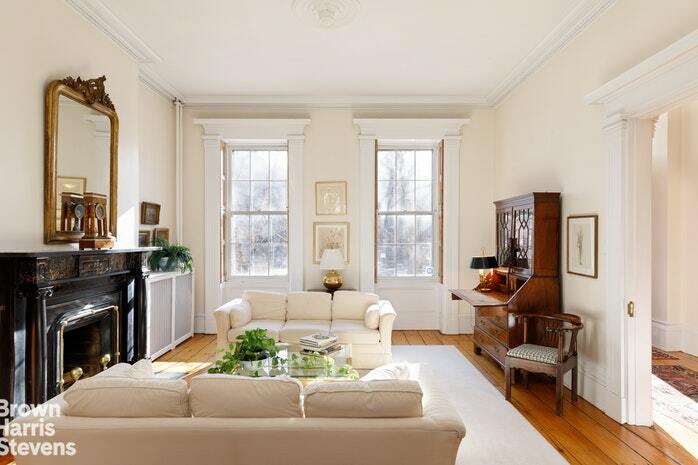 Built Circa 1829 with the highest degree of craftsmanship and thought, in Classic Greek Revival style. 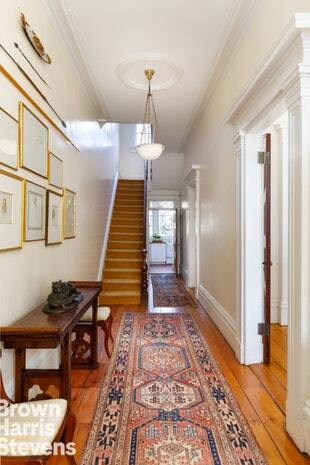 51 Cranberry Street has been mindfully preserved and meticulously maintained for 187 years. 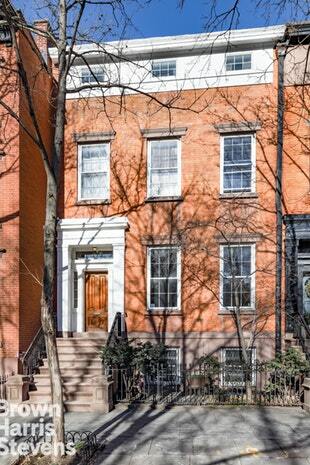 This prominent townhouse is situated on a historic row in the seclusion of Brooklyn Heights' North End. The lovely Flemish Brick work fa&ccedil;ade overlooks the gardens of Plymouth Church. Building width measures 25 feet and lot depth is 100 feet. The South facing position brings streaming sunlight throughout the home. 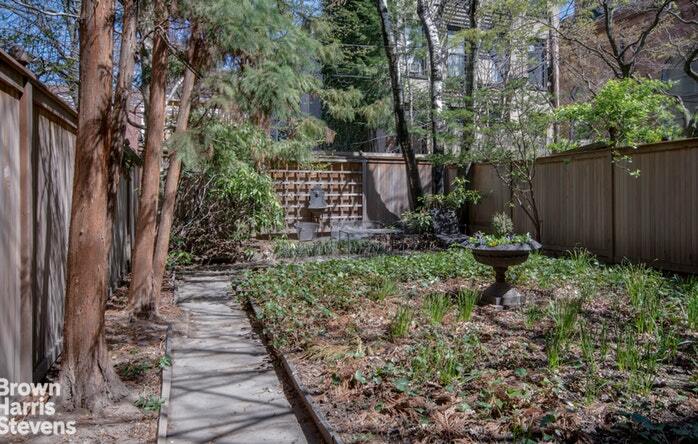 The open views are unobstructed and include historic landmark protection. 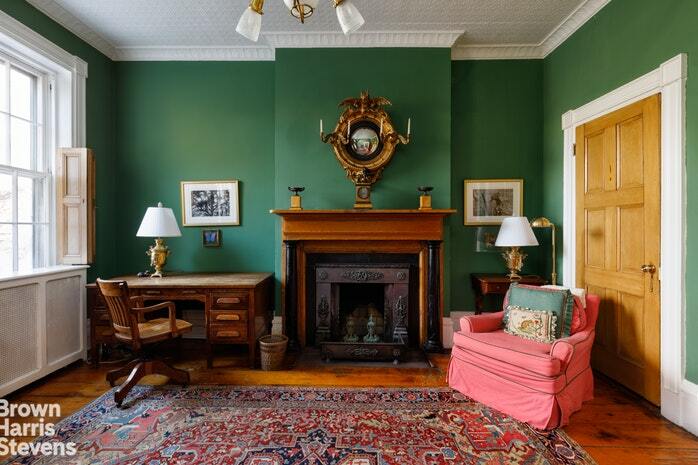 Configured as a parlor triplex, with a lovely garden floor rental apartment. The Double Parlor has tall ceilings with the detail fully intact .The original details include plaster crown moldings, medallions, museum quality feather painted entry and pocket doors, columns, and original hardware. The wide plank antique floorboards align with the full scale of the double parlor. 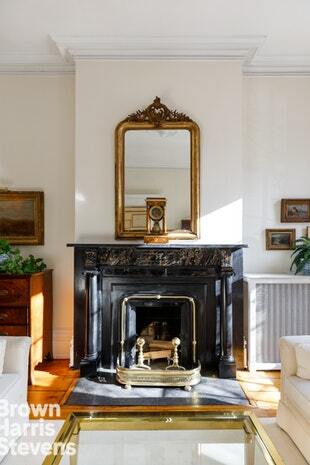 The rare matching wood burning fireplaces are constructed of black marble, veined with gold, and have been restored to a high finish shine. 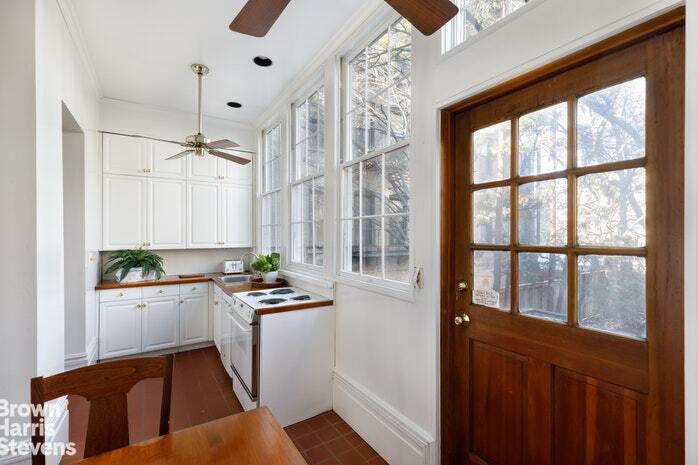 The original tea porch has been enclosed for a 21st century kitchen. The second floor has two spacious bedrooms and one bathroom. 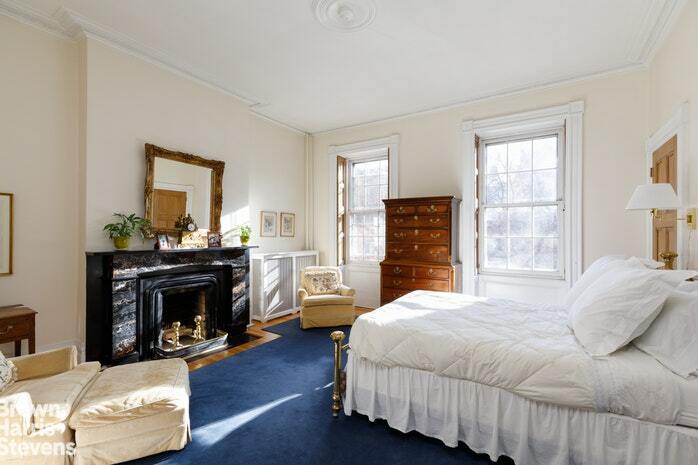 Each of the large bedrooms are beautifully proportioned, each with an original wood burning fireplace. There is plenty of closet space and built in storage. 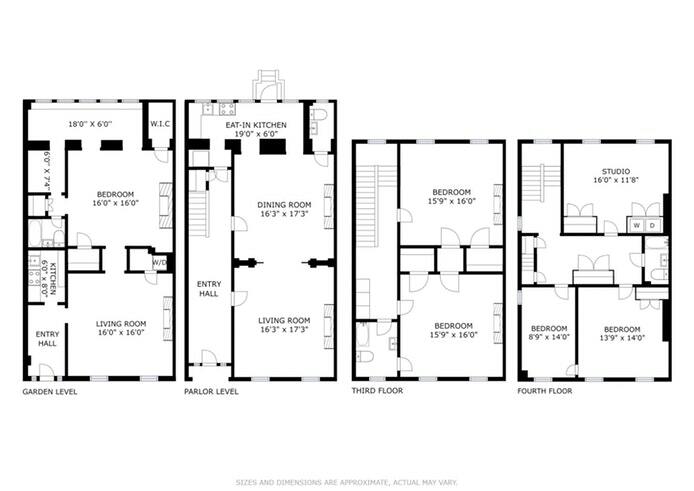 The light filled top floor has three bedrooms, middle common space, and a full bathroom. 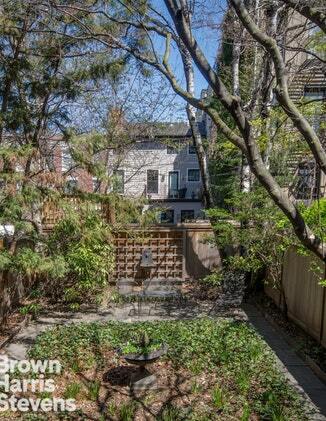 There versatile garden level is configured as renovated high income producing apartment, or to easily combine into a single family home. Lovely landscaped garden with an abundance of natural light. A townhouse with understated elegance and comfort, that has clearly been important to each of it's few owners. A rare home that is in impeccable condition, with maintained original details allowing the authentic patina to develop. This home is now ready the next chapter, and a new long era. 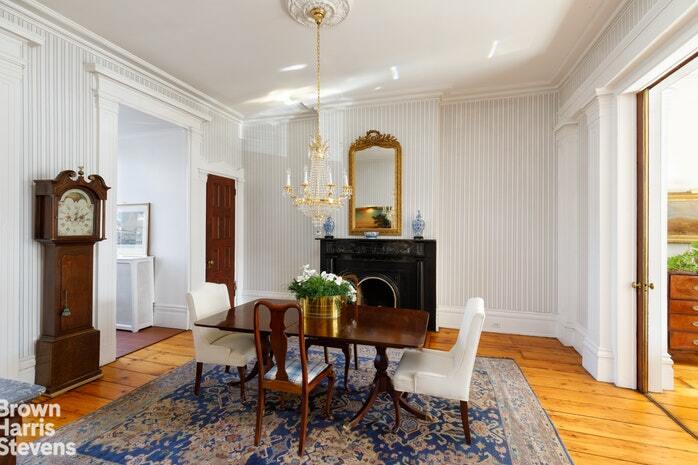 This early American home is available to connoisseurs, preservationists, townhouse lovers, or anyone that would like become one.